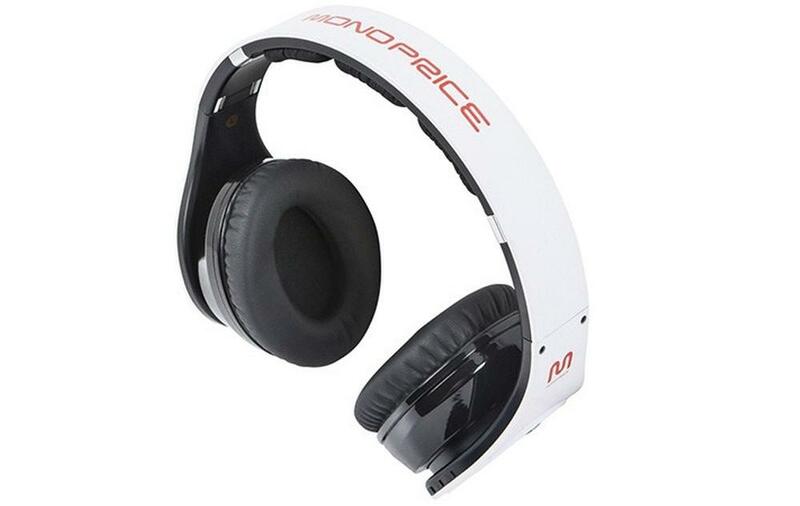 Founded in 2002, Monoprice produces generic brand consumer electronics under their own private brand and label. It's headquartered in Rancho Cucamonga, California, US. Their parent company is Blucora. It was Jong Lee and Seok Hong who founded the company in 2002. They've produced their own versions of small portable video cameras, proprietary guitars, and more. They also partake in the gaming industry with their products that include gaming mice, PC speakers, mechanical keyboards and 7.1 surround sound headsets. They've got bass guitars, stage lighting, DJ products and more. The business was founded by Jong Lee and Seok Hong in 2002. Over the years they've produced their own versions of small portable video cameras, proprietary guitars, IPS panel monitors and more. They also partake in the gaming industry with products that include gaming mice, PC speakers, mechanical keyboards and 7.1 surround sound headsets. In 2013 Blucora acquired Monoprice for $180 million, and it is now earns approximately $120 million in yearly revenue. Bernard Luthi currently serves as CEO. Shoppers looking to make savings can use special Monoprice coupons to redeem offers and deals. We list all the latest codes here at Coupofy, so be sure to check back before ordering to ensure you make savings! Computer Accessories (Laptop, Desktop, Mac, and more), Gaming (PC, Wii U, PS3, PS4, Xbox 360, Xbox One), Apple (iPhone, iPad, iPod accessories), Android & other mobile (Samsung, Sony, HTC, Motorola, LG), Audio (Earphones, Speakers, Adapters, and more), Home Theatre (Systems, Screens, Power Management, and more), Networking (Routers, Adapters, Cables, and more), Printing (Ink, Toner, 3D printing, and more), Office Supplies, Security (Cameras & CCTV), Cables, and TV Wall Mounts. Depending on the current deals available you may be able to get product wide discounts using a Monoprice coupon code, or discounts on specific products only. You can also buy eGift Cards between $10 and $100, so the recipient can make their own purchasing choices. Monoprice support US and international credit cards, including American Express, Visa, MasterCard, and Discover, as well as Paypal and Amazon Payments. You can also use a Cashier Check and Money Order if you are using the catalog. When paying online you will see a promo box during checkout. This is where you can enter a Monoprice coupon code to redeem its offer. Monoprice shipping is mostly handled by USPS and UPS, pricing which may vary depending on the size of your order. Options include Small Package (3 to 6 business days), Priority (2 to 3 business days), UPS Ground (3 to 5 business days), 3 Day, 2nd Day, and Next Day. You can also get items shipped internationally. All costs will be fully calculated before the checkout process is complete. From time to time free shipping is available through the redemption of a Monoprice promo code. Monoprice operate a 30 day returns policy from the delivery date, allowing you to get a refund or exchange on all unused items. Unless you received your order in a defective or damaged condition shipping costs are non-refundable. Before sending a return you must obtain a Return Merchandise Authorization number from customer support.